On a scrabble board the word regret will only yield you seven measly points, but in real life regret can come with an enormous price tag. In 1991 when my phone rang in my Indiana dorm room the voice on the other end of the line was a reporter from my local hometown newspaper, the Jackson Hole Guide back in Wyoming. The gal wanted to know about a report that I had seen a wolf at the top of Togwotee Pass late one snowing blizzard of a night while I was home for Christmas break. At that time, the wolves had technically not been reintroduced to Yellowstone, but reports about wolf sightings had been circulating around the area and I’m sure the reporter thought I was just some snot nosed college kid who wouldn’t know the difference between a wolf and a bulldog. The dead air on the other end of the line was nearly deafening when I explained to her that I had grown up with wolves at my grandfather’s house down near Wilson where he had a compound with about a dozen of the Canadian beasts under captivity. 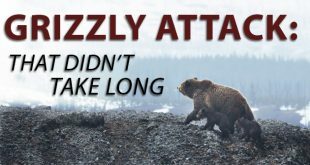 What I saw that night in my headlights was without a doubt a big Canadian Gray wolf with an orange radio collar around its neck, no question about it. Most of the people who read the article doubted my account of the sighting, and that’s okay. At the time I just laughed it off and went back to proving some ridiculous thermodynamic law. Those were different times. They were, let’s call it BWR, “Before Wolf Reintroduction.” There was a lot of apathy in the hunting community during that period. Some hunters and outdoorsman thought wolf introduction might even be a good idea, and some vehemently despised even the mere thought of the idea. I found myself in the latter category of course, but calculus and trigonometry dominated my spare time at that point in my life. I think we can almost all agree, that we should have done more; more as hunters and outdoorsman to try and push our politicians to stop the largest wildlife genocide in over 100 years. To think that we now have an entire generation of hunters now living among us that has never set eyes on the type of elk and moose herds that we enjoyed during our childhood is very sad. We should have done more, stood together, spoke up as a unified front against what was about to happen. 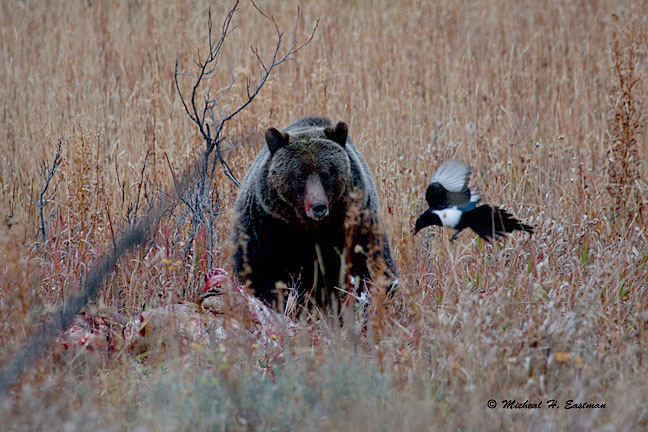 We now know all too well that our politicians even at the state and local levels don’t always have our best interests in mind when it comes to sound wildlife management. They say they do in speeches, press conferences and newspaper articles, but when push comes to shove the federal government always seems to get what it wants. The politicians and bureaucrats know that if they can control the top of the food chain they can control everything. The Endangered Species Act (ESA) is being used as a weapon to potentially destroy our hunting heritage. 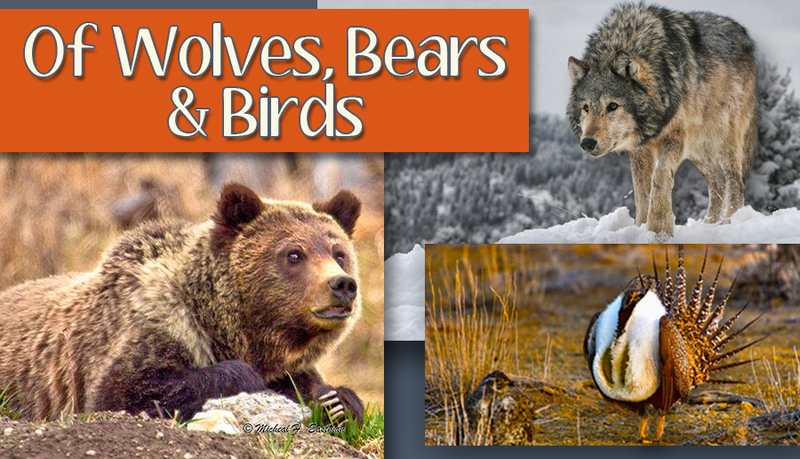 Wolves, bears and soon to be birds, are now being shopped by “green” groups to be included on the endangered species list in an effort to gain political control over massive tracts of our public lands, public wildlife and accesses. 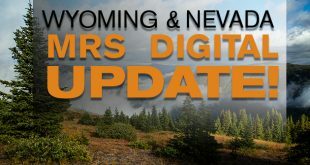 What they have learned from the wolf situation is now being ramped up and expanded into other species, using the wolf reintroduction as a template to control hunting, species management and access to vast amounts of our public lands. The sage grouse is the next piece in the puzzle for the feds and the animal rights groups to further limit our access and sport. If you look at the wolf and grizzly bear recovery area map and overlay the proposed sage grouse recovery area, you can easily see they fit together like a glove. The sage grouse habitat area will encompass most of what is thought to be some of the best mule deer habitat on the planet. 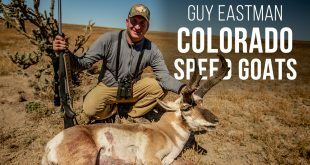 Make no mistake about it, listing the sage grouse as endangered species would have disastrous effects on western hunters and recreationalists. This “power grab” of our precious wildlife resource is nothing more than politics as usual, pure and simple. The state game and fish agencies are perfectly capable of bringing back the grouse numbers to a more than sustainable level. Sound science has shown that the sage grouse numbers are on a significant down cycle right now, but as most of us are aware this is a not so uncommon occurrence when it comes to game bird populations. Wyoming, and much of the West for that matter had one of the worst winters on record in 2010, which was then followed up with the single driest year on record in 2012, this one-two punch sent most of our wildlife herds into a temporary death spiral, and the sage grouse was certainly no exception. Add to that the fact that there is a raptor sitting on nearly every other fence post during the winter months and a wind farm growing on nearly every ridge in southern Wyoming and we have had the perfect storm for struggling game bird populations in the West. By most of the government’s own numbers these birds are on the rebound already, no federal oversight required. I personally had to slam on the brakes four different times last fall on a single hunt to let sage chickens cross the two track I was driving on while looking for deer. Either I am the luckiest guy in the world or the sage grouse is not quite as endangered as some may be leading us to believe. But this proposal is less about birds and wildlife and more about control. This is purely political and we have been down this road before nearly twenty years ago. The ESA is where wildlife species go to die, and once listed, animals are almost never removed. Caught up in endless loops of regulation and litigation, they become like taxes, used as leverage for control over state agencies that are often deemed inept by a Federal Government that has an insatiable appetite for control and is easily scared into the realm of illogical and desperate actions by well funded and well oiled environmental organizations with political agendas. It is time for us as hunters, anglers and outdoor enthusiasts to stand together and be heard as one uniform voice with a steady and consistent message. A message that says we have been down this road before and this did not work in the past and it will not work in the future. It’s time the government and these so called green groups stop using the ESA as a weapon to remove our access and opportunity to “OUR” public land and public wildlife resources. If there’s one thing our politicians and bureaucrats are deathly afraid of, it’s the general public-us, you and me. The first step in this process is the signing of a petition to stop this process in its tracks. I have news for those pushing for this “hostile” takeover of our state run wildlife resources: I already passed those math classes and this time I’m not going to sit back and “trust” politicians and bureaucrats to do the right thing when it comes to our precious wildlife resource. My kids and grandchildren will not have to live with the consequences of my regret this time. As a sportsman, you have the opportunity and duty to make your voice heard by those who represent us in Congress. Big Game Forever, an organization founded to preserve states’ rights to manage wildlife, and dedicated to hunters’ rights has been on the cutting edge of the wolf issue, and is now on the front line in avoiding a federal listing of sage grouse. Please take the time to hit the link below for an easy one step petition signing. 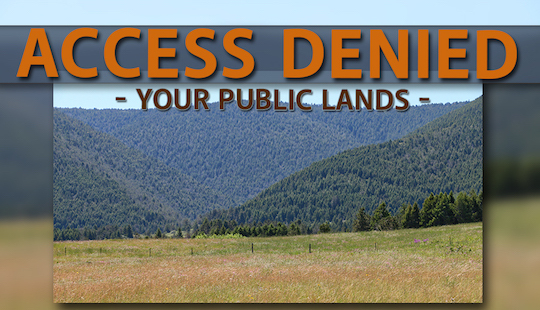 Hopefully through efforts like this we won’t see our public lands become the subject to activist judges or politicians who would sell us out to keep their position. Our collective voices matter and when we politely remind the people in power that we vote it stands out. It takes efforts like these to make a difference preserving all of the things that we value here in the West. -Concerned hunter, angler and taxpayer. Previous Slow and Steady! EHJ Feature Story Preview! 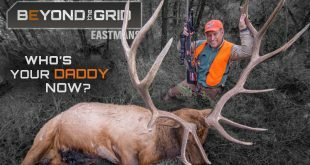 Next Eastmans’ Classic Footage: Non-Typical Bull Elk! Guy, your assessment of these policies as politically motivated is spot on. The current regime in Washington has a leftwing agenda that includes anti-hunting, anti-gun, “green energy” (you even mentioned all the windmills being built around the country), and a few other things I could bring up. About those windmills, even with all the federal subsidies, wind power costs five times as much to produce as coal or nuclear, and they still contribute less than 3% of the power on our electrical grid. Not a good deal for the rate-payer! Unfortunately, these people don’t care about truth, they only care about their own power, and how to maximize it at our expense. Confused on this issue. Habitat fragmentation due to new development (oil and gas or whatever) and the new roads that go with it are a prime detractor to sage grouse survivability. Loss of habitat too. As hunters most seem to just want to be able to get in there easily on these roads. The areas that would sustain sage grouse would seem to also support thriving mule deer populations (deer don’t much like roads/fragmentation) or wintering elk either. I read an article from the Idaho Statesman last night regarding this. Came from Idaho’s Lead state biologist on sage grouse. Before you begin badmouthing him, remember, he just retired from a state agency that the article above is praising. He has also been studying Sage grouse for about 37 years. Most of the management of these birds is based on research this guy has done. Access is good for us, maybe bad for birds, oil and gas access is bad for birds, I would tend to think it’s bad for ungulates too. If we save the birds and preserve the habitat, aren’t we preserving deer populations as well. 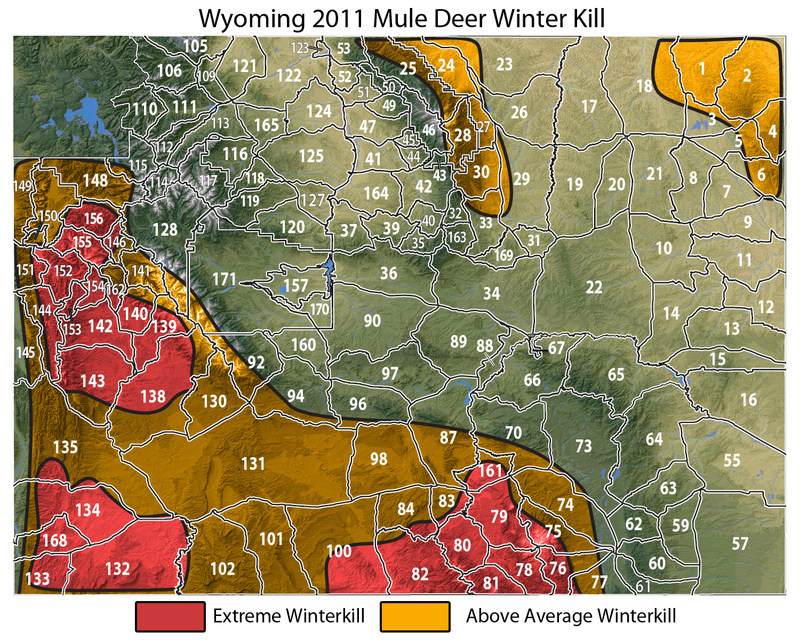 Mule deer aren’t having a real easy time these days either, anywhere in the west. 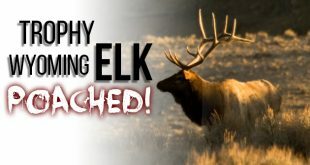 I can’t imagine my life without elk hunting, but I also can’t imagine it without bird hunting. So I agree with you James. Issues of habitat fragmentation go beyond the impact on a single species. Grouse, elk, deer, and yes predators, all live in the same places and habitat destruction impacts them all. I am dissappointed that as the leading proponent for western big game fair chase hunting Eastmans’ doesn’t grasp this fact; it’s not a black or white, single issue problem. Attempts to make everything the fault of the “liberals” (in this case) or “conservatives” (in others) aren’t doing any species, any person, or this country any good. What we really need is a thougthful conversation on how we should manage our public lands for sustainable, multiple use – and that includes nonhunters as well of those us that live to hunt – and not something of this tone which is nothing more than the same old, and very tiring, attempt to transfer of blame to “the feds”. It is as you note food for thought. It is a complicated, multi-faceted problem and discussing it won’t be an easy conversation; discussing it with respect for all perspectives will be even more difficult in the current political environment. I hope Eastmans’ will use its influence and platform to be a leader in starting and sustaining this conversation so that we acheive a solution while we still have these animals around rather than simply retreading the same old blame-game diatribes that are in vogue today. As far as the wolf is concerned everyone should read ‘The Real Wolf ‘. You can see the damage that the wolf has done, the money it has caused the USFW to waste. If the enviro’s had to put this money out of their own pocket I am sure that the issue would have been dropped a long time ago. This is a book that everyone that hunts will find very informative. Guy is correct in that the states need to manage wildlife and not the Federal government. ” The more I see of the people’s representatives, the more I like my dogs. Unknown Frenchman, at least I don’t know his name, about 1850. Just to be clear, being a Liberal does not mean one is a tree-hugger. Those of us who hunt were just as upset about the reintroduction [introduction] of wolves into Yellowstone Park. Some of my liberal friends thought it would just be dandy to see wolves in the wild doing what wolves do. Some of my conservative friends were of a like mind. They were saying things like, “wolves were here first” and “wolves will keep the winter kills down,” etc, etc., blah blah. Both sides of this argument were wrong. Both liberals and conservatives were misinformed and, consequently, both mismanaged the wolf situation. So, let’s face it we’ve got a problem with canis lupis and it has to be dealt with by both sides of the political aisle. Name calling and finger pointing has never solved a problem, only concerted effort by caring people solve problems. Sounds good to me Mr. Belville. No room in the lower 48 is spot on. This is 2015 not 1815. Hunters took over the wolf’s role as top predator years ago. Our ancestors wiped out the wolves years ago, when they thought (and correctly so) the only good wolf is a dead wolf. 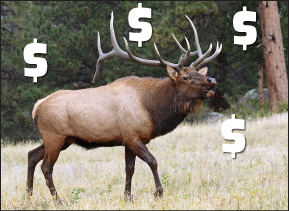 Our Elk/Moose and Deer herds are in serious trouble. Moose tags are cut to almost non-existence in most of Wyoming, interestingly only where wolves are found. Kill them all. Here in Idaho, we agree with your assessment, shootbrownelk. We have a long open season on wolves. Hopefully, we can manage the population, but make no mistake, as we shoot to kill, wolves, being the intelligent animals that they are, will no doubt move to more friendly climes. Hello Oregon, Washington, California and Utah. Wyoming is not friendly to wolves, and neither is Montana so the wolf will find those areas where he is not hunted…that’s just wolf behavior. My grandfather was a hunter and a trapper of wolves back in the early 20th century. He made his living as a young man selling pelts of the animal. But he didn’t miss ’em when they disappeared cause they caused terrible damage to the other animals in his traps before he could get to them. I say…SO LONG MR. WOLF.